Currently generating $229,824 in Net Annual Income. (9.19% Annual Return on Investment – CAP Rate). Tenant pays all Operating Expenses (NNN) and to Extend lease until December 31, 2020. Automotive Dealership Property. North Building is a total of 15,081 SF on 1.13 acres. This is part of a larger portfolio totaling 42,773 sq. ft. on 5.07 acres that can be leased or purchased in whole or in part as follows: APN 015-230-032 - North Building - $2,500,000 APN 015-230-033 - South Building - $3,800,000 APN 015-230-032 - 2 Acres Vacant Lot - $1,000,000 Entire complex is currently being leased (NNN) until 12/31/20. Can be purchased separately or in its entirety. Subject Properties are close to the prime intersection of East & Cohasset. Zoned Regional Commercial allowing for a wide range of retail and commercial uses and even mixed use residential. 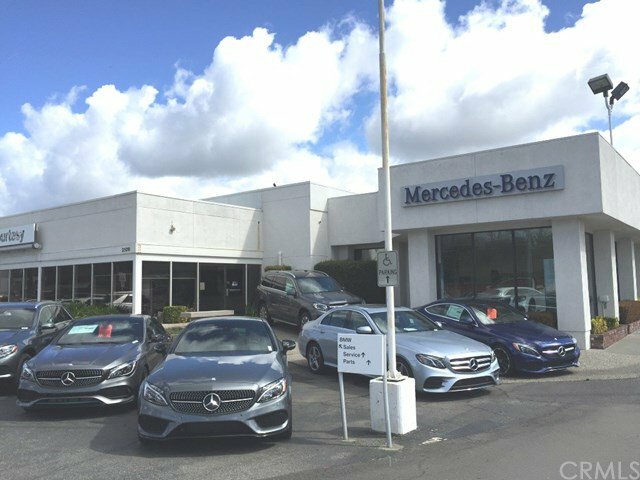 Currently leased to Courtesy Motors scheduled to vacate by December 31, 2019. Neighbors included Wells Fargo, Walgreens, Good Earth Market, Burger King, Davita Health, Starbucks, Mod Pizza, Cinemark, Trader Joes, CVS and the entire North Valley Plaza Mall. The information contained herein has been obtained through sources deemed reliable but cannot be guaranteed as to its accuracy. Lot size taken from public records. Buyer is advised to investigate to their satisfaction.